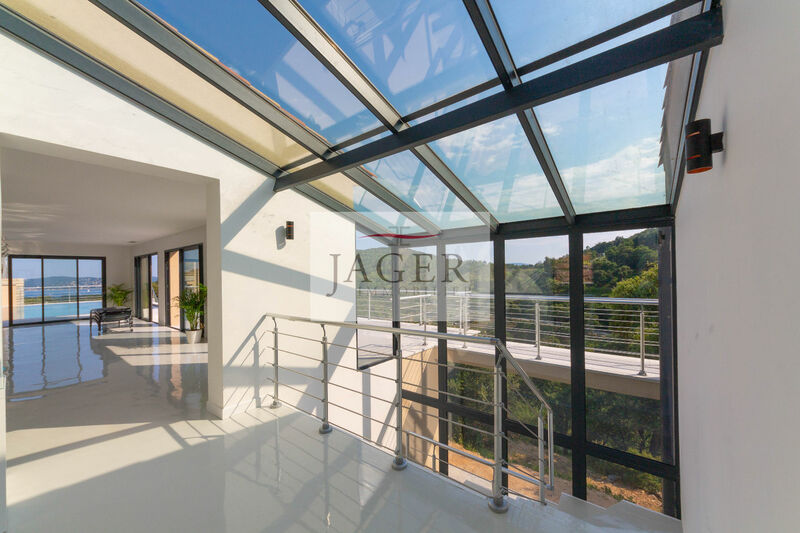 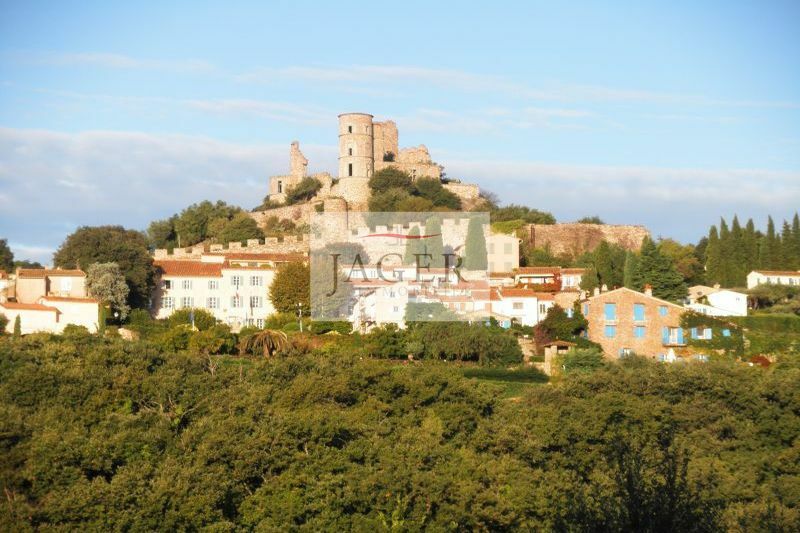 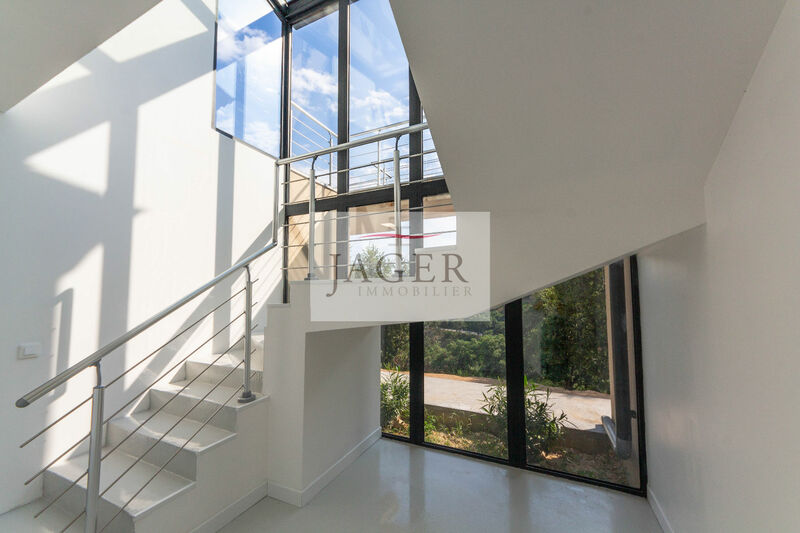 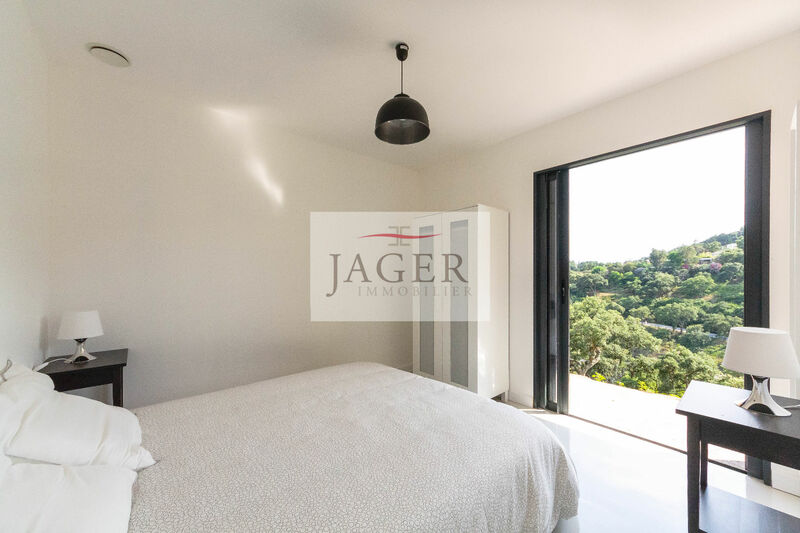 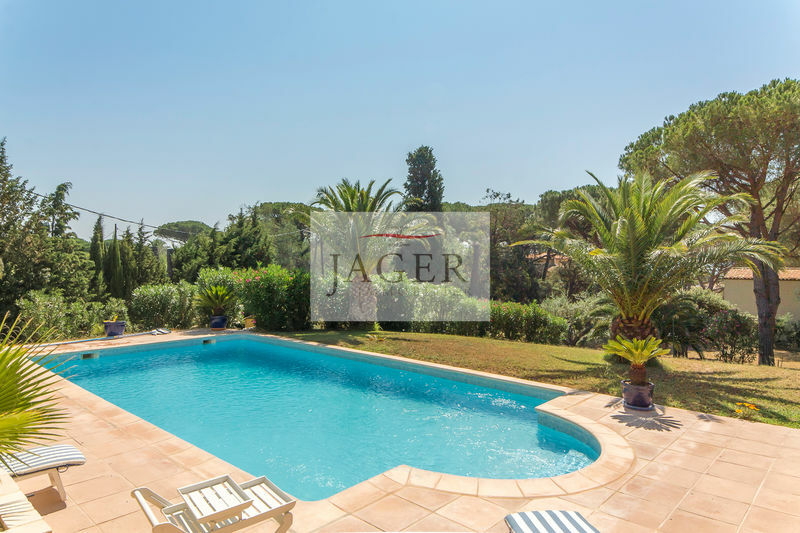 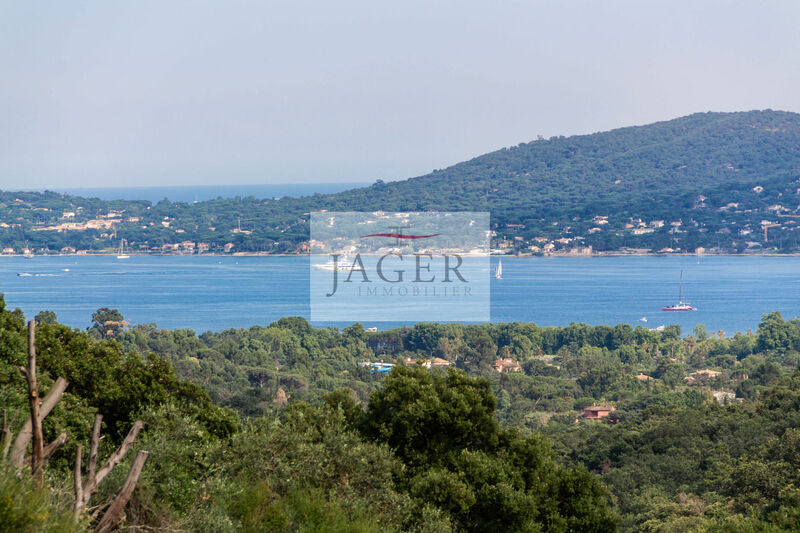 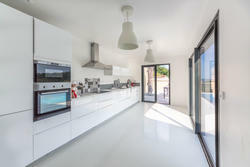 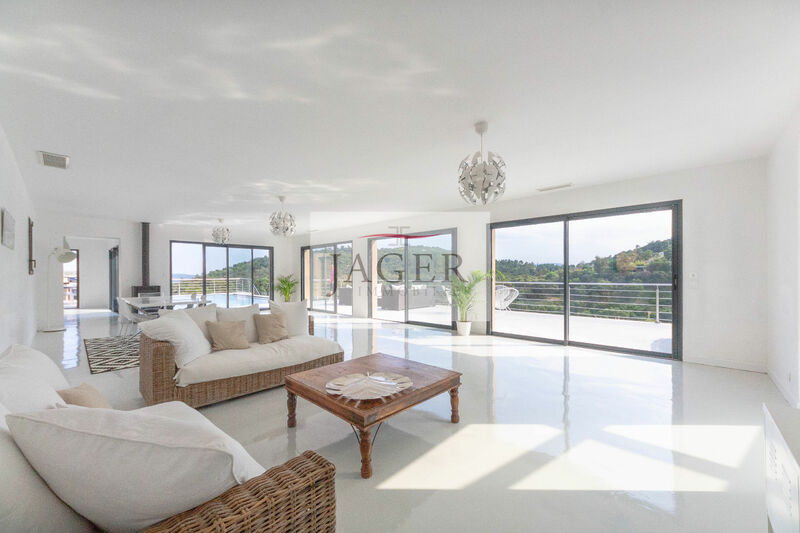 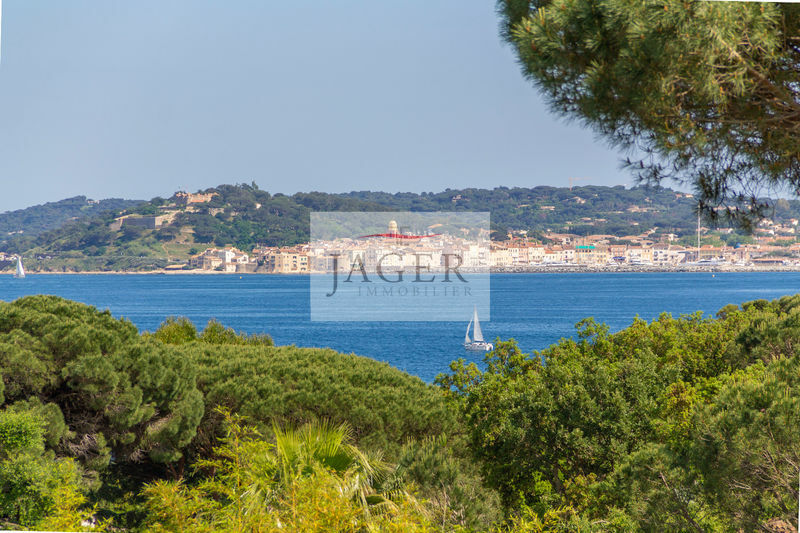 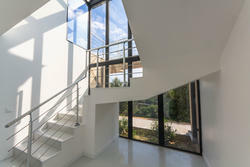 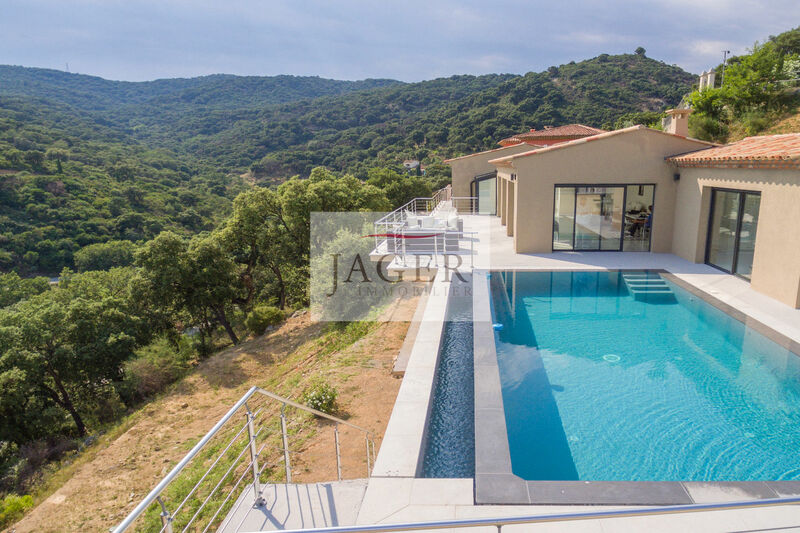 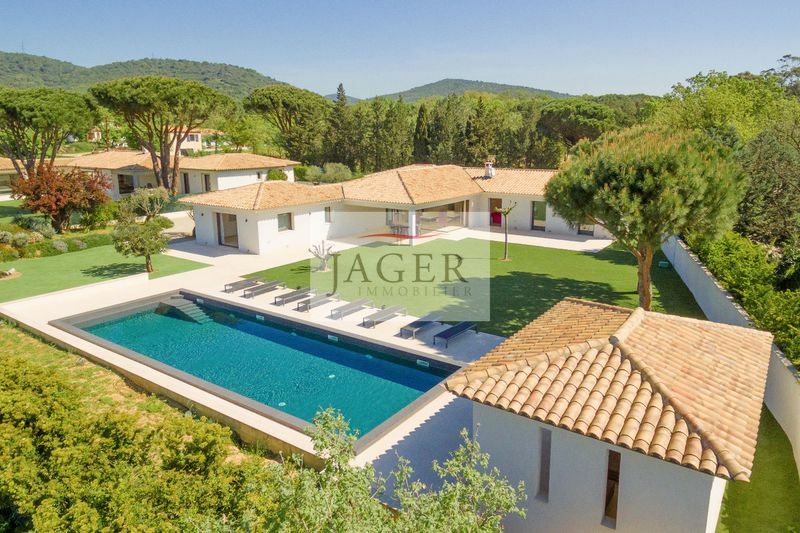 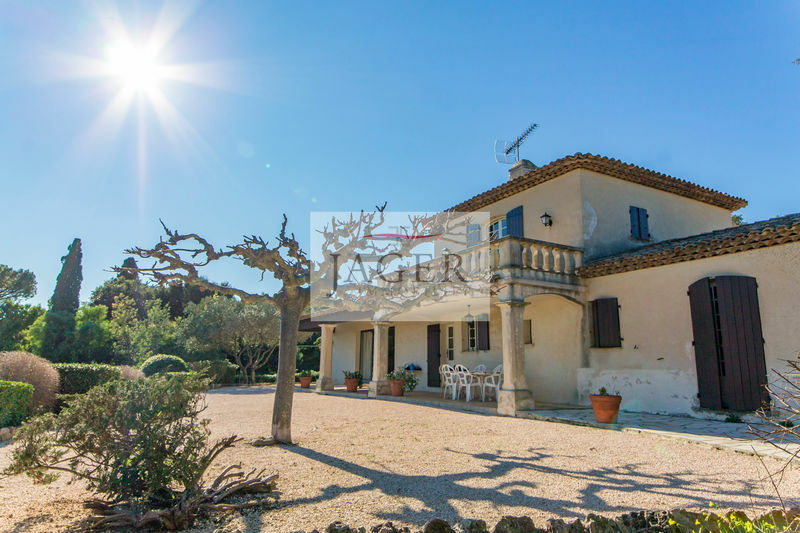 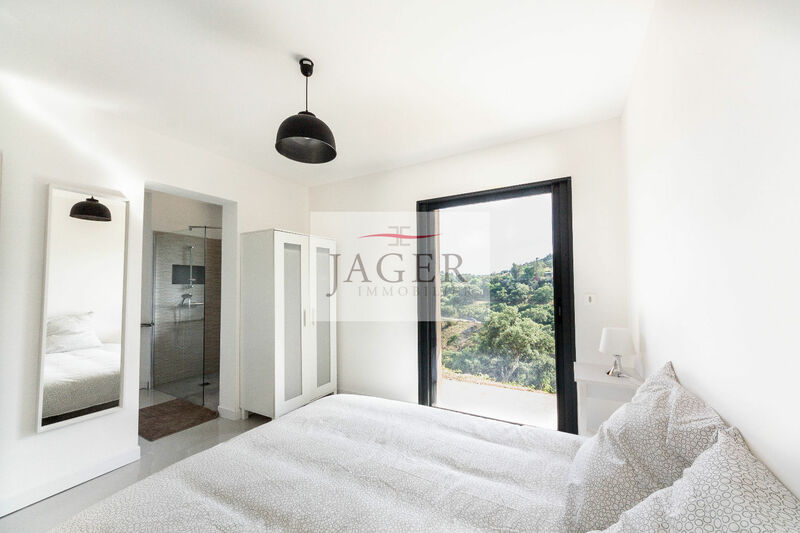 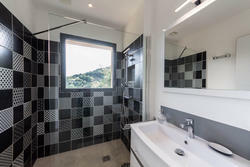 Contemporary villa, built in 2018 on the heights of Grimaud with a magnificent view of the sea and the hills. 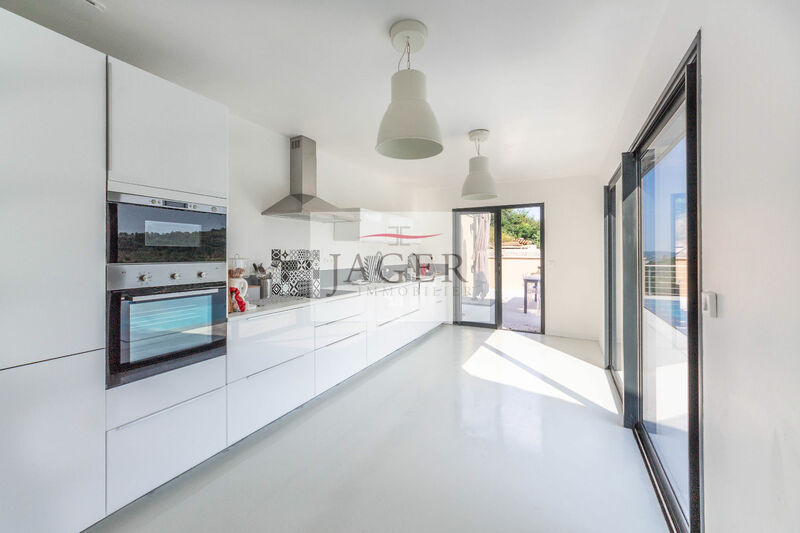 - Ground floor: Large living / dining room, equipped kitchen opening onto the terrace with swimming pool. 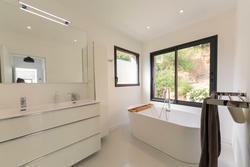 Master suite with bathroom, dressing room and guest toilet. 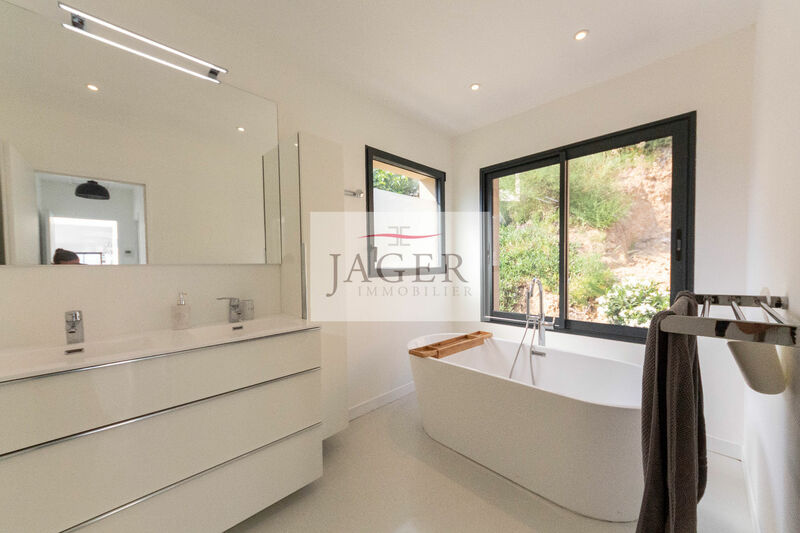 - RDJ: Two bedrooms each with a shower room, two other bedrooms that share a shower room and two separate toilets. 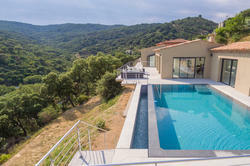 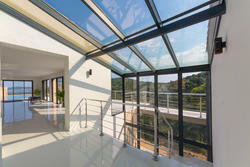 New construction - infinity pool 8x4m - great benefits - quality materials!